Performance Marketing is developing day by day all over the world. Advertisers find it the most reasonable and frugal way to enhance their business. More and more advertisers are using affiliate marketing for selling products, receiving leads and driving traffic to their landing pages. Affiliate fraud is a big concern in Affiliate Marketing. So preventing it is a key priority for merchants. Adwalnut provides an agile and proactive approach to manage fraud in real-time. Adwalnut’s Fraud management system confirms that the sales that are acquired are bona fide. From the first Click to Conversion, Adwalnut is the ultimate lexicon. It enhances the performance of your affiliate business and prevents fraud. 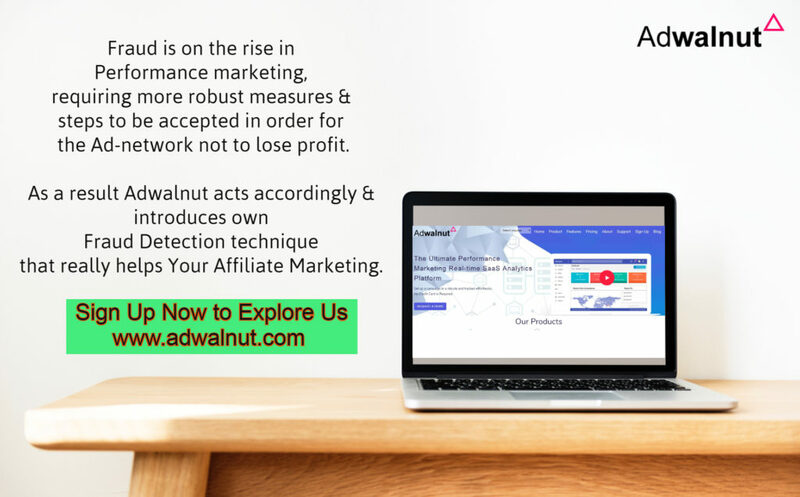 If you are concerned about your affiliate marketing, then you should use a robust platform like Adwalnut that helps to get out of this problem.